Alan Greenspan has criticized the Fed for not achieving its goals with Quantitative Easing, predicting financial turmoil and advising people to invest in gold. The Federal Reserve voted on Wednesday to end its Quantitative Easing economic stimulus program, a high-risk operation intended to save the financial system by pumping trillions of dollars into the U.S. economy since 2008. As part of this unprecedented “money-printing” scheme, more than $4 trillion were created out of thin air to purchase government bonds and mortgage-backed securities. This has created artificially low interest rates, which were supposed to boost spending, borrowing, output, productivity, growth, hiring – in short to revive the U.S. economy. Instead, the stimulus has brought us another stock market bubble and robbed millions of Americans of their hard-earned savings: Low interest rates are known to punish savers unfairly, create stock bubbles, and ultimately lead to inflation. The Federal Reserve won’t be able to exit from its QE policy without turmoil in financial markets, former U.S. central bank chairman Alan Greenspan said on Wednesday. He said that the Fed’s bond-buying fell short of its goals, that although the program inflated asset prices – this didn’t help the real economy. 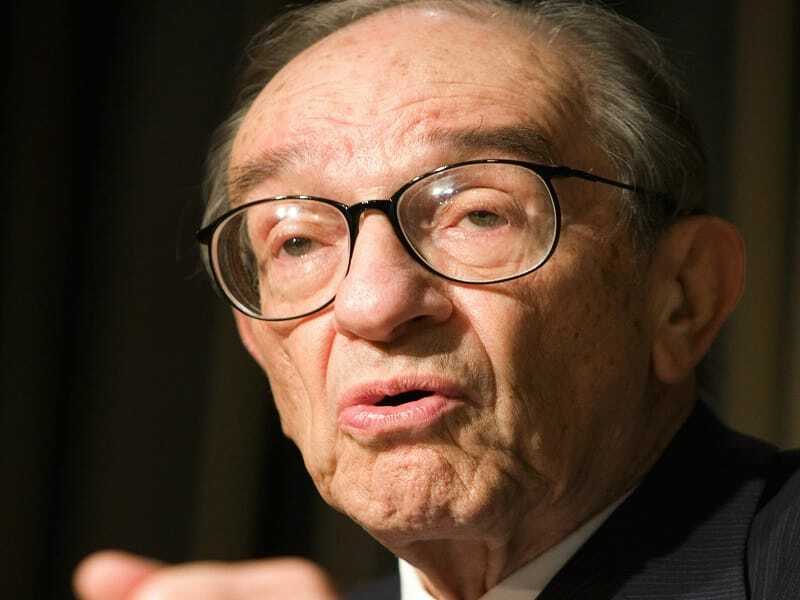 Alan Greenspan had advice for people on how to protect themselves against destructive government policies like the Fed’s expired QE: Buy gold. Greenspan: “This is a fascinating question.” He did not answer the question, but he did point out: “Gold has always been accepted without reference to any other guarantee.” While Greenspan did not want to comment on current policy, he was willing to give a forecast on the price of gold, at least in a Greenspanesque way. Greenspan is not the only public figure expressing support for gold. We’ve covered extensively former congressman Ron Paul, publishing executive Steve Forbes and, most recently, political commentator Floyd Brown, who are all advocates for the return of the gold standard. Used as the ultimate store of value for millennia, gold has a limited supply, which means that unlike paper money it can’t be created by trillions at a whim. If you are interested in backing your retirement and wealth with gold, you can order our free information kit or you can call our friendly Gold Specialists. And for more breaking news about gold and other precious metals, follow us on Twitter.